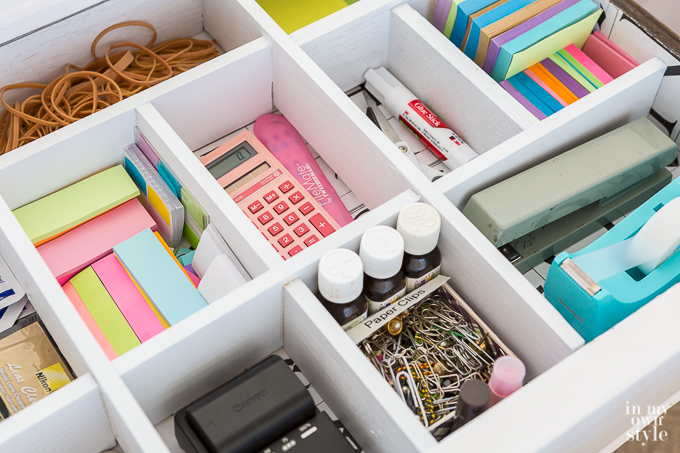 Keeping your drawers and desks organized almost always requires some containers or dividers. 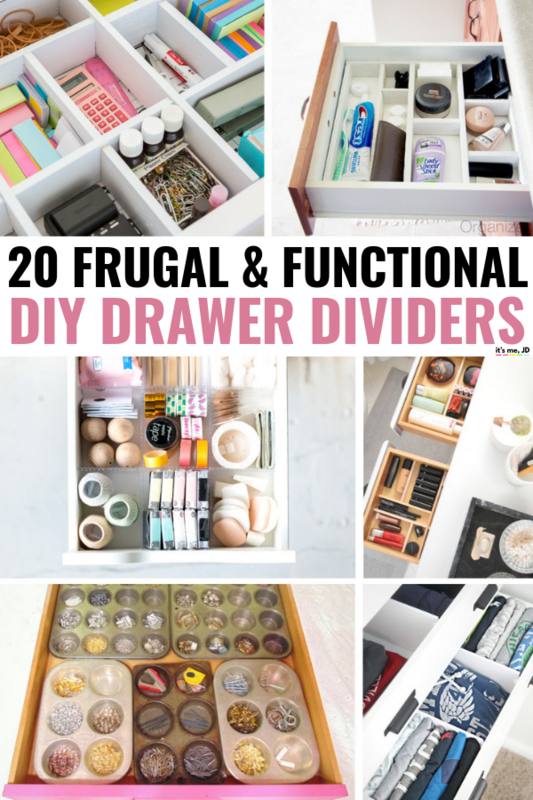 To save money, but still keep things functional, you can DIY your own drawer dividers with these ideas. When you create your own dividers, you can customize the size as well as the style to fit your needs. They can also be a lot more affordable than your store bought ones. 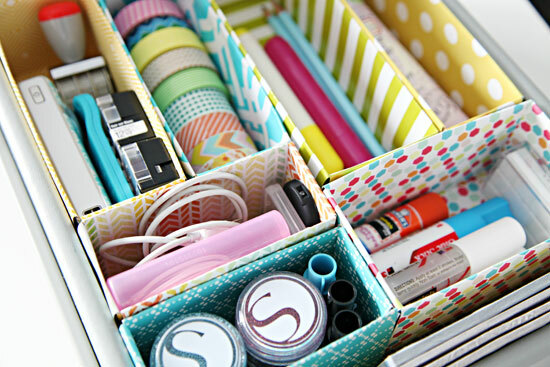 To help get you started, I’ve rounded up some creative handmade organization ideas. 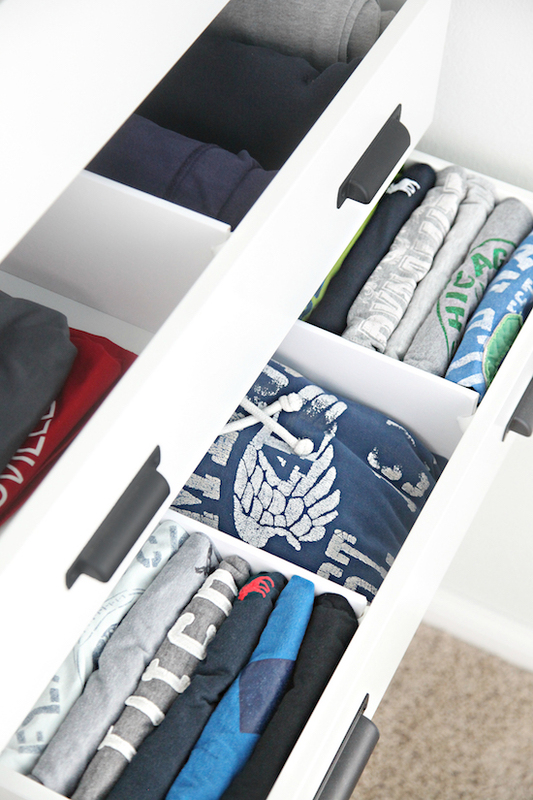 This solution got these clothes organized in a snap! 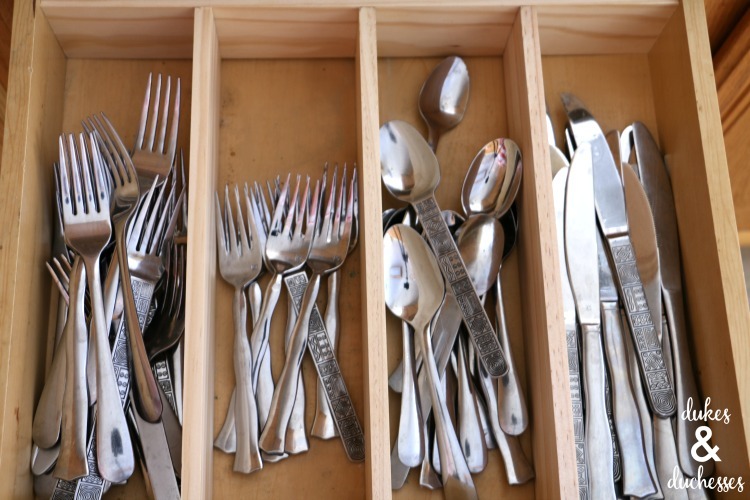 A few wooden pieces from the hardware store made the utensils look nice and organized. 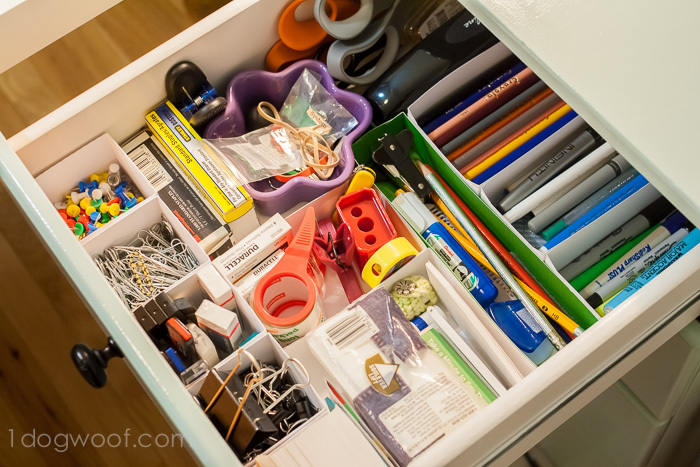 Adding custom drawer dividers takes the “junk” out of junk drawer. 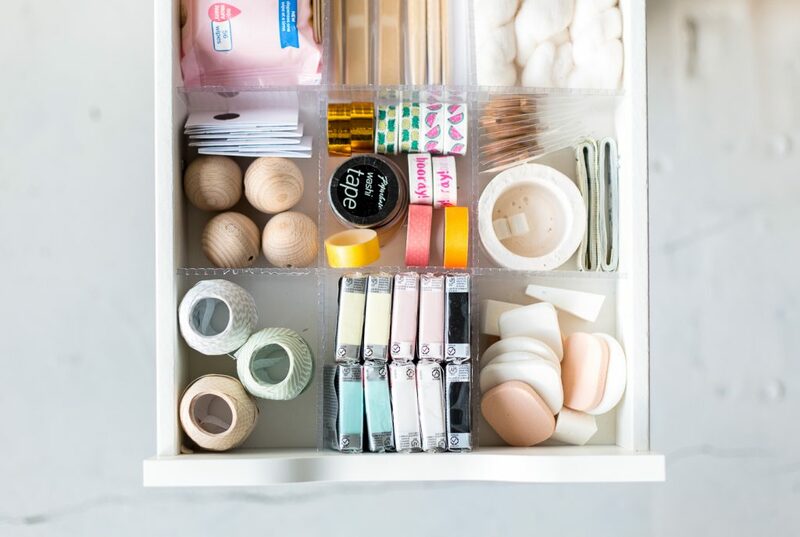 These DIY clear dividers make your craft supplies look so fancy. 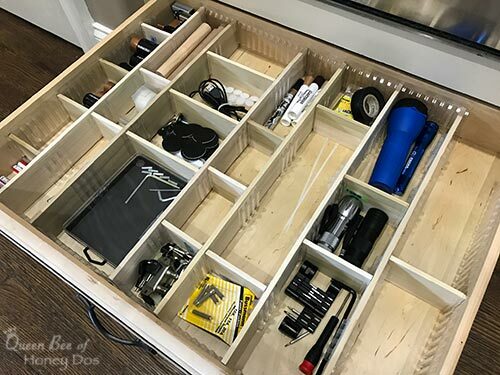 This DIY drawer divider idea is great if you have multiple kids or it could work for you and your spouse as well. 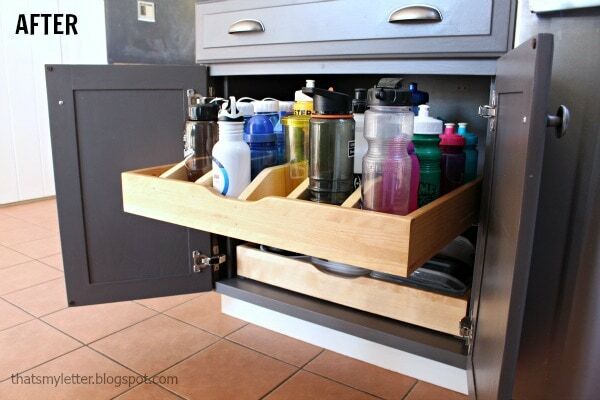 Keep water bottles organized with this idea for pull out drawers. 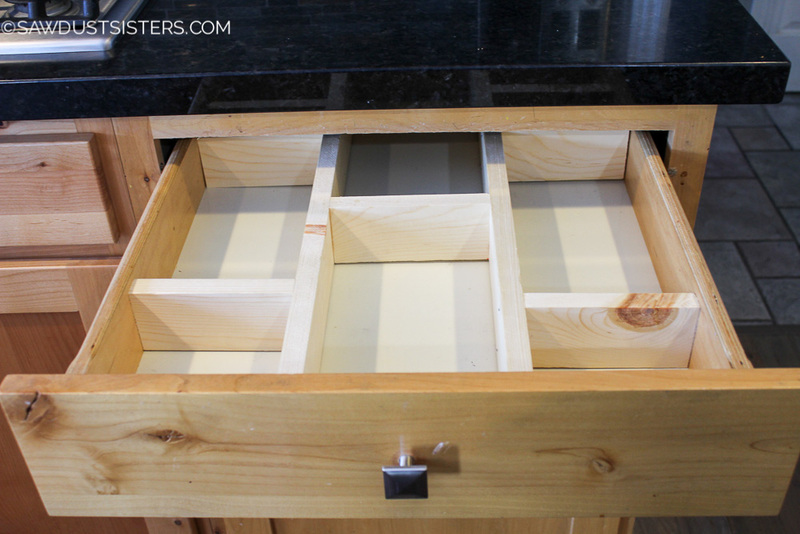 This affordable drawer divider idea was made with wood lathes. 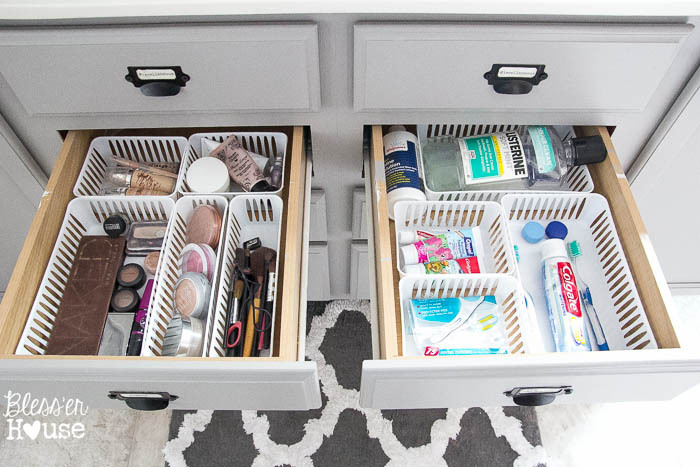 I love this use of acrylics for these closet drawers. 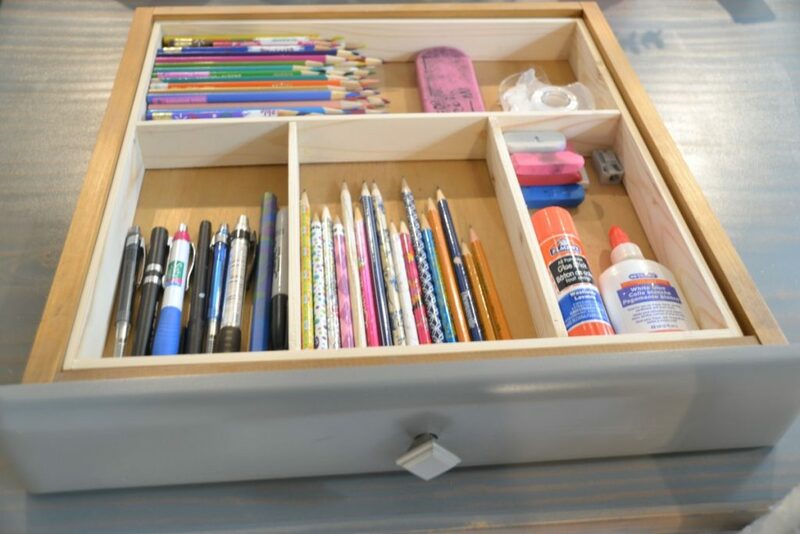 Kids can easily find their school supplies with this divider idea. 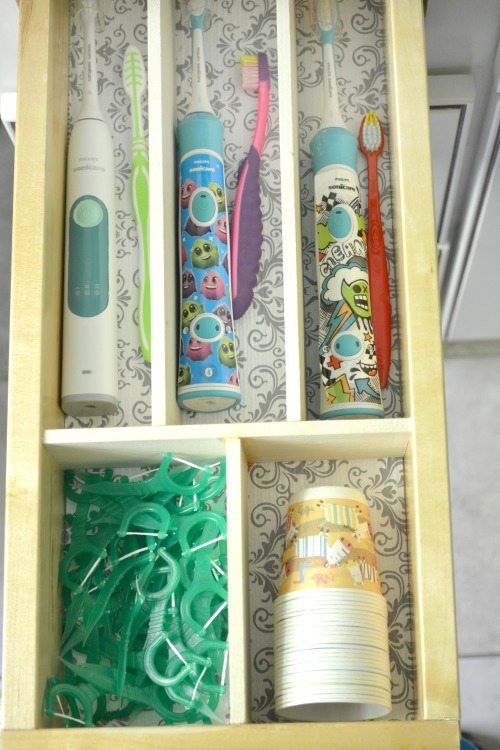 If you’ve got an electronic cutting machine, the dividers will be a cinch to put together. 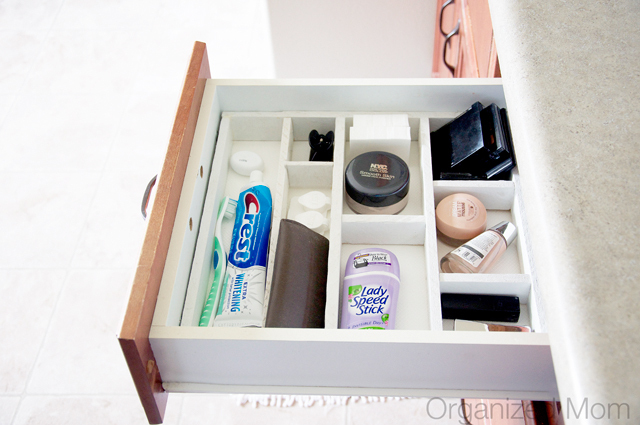 You can really save some money by using upcycled cereal boxes to organized your drawers. 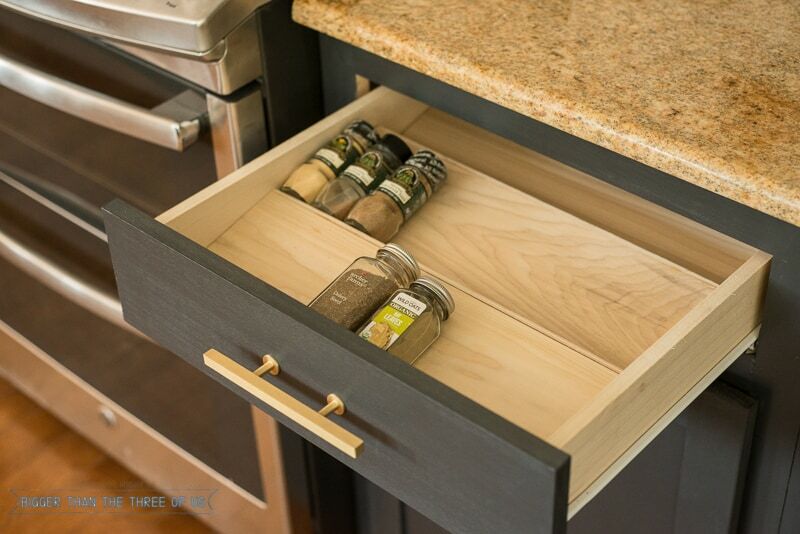 The spice drawers look as though they are part of a custom kitchen. This idea was made from supplies from the Dollar Store. 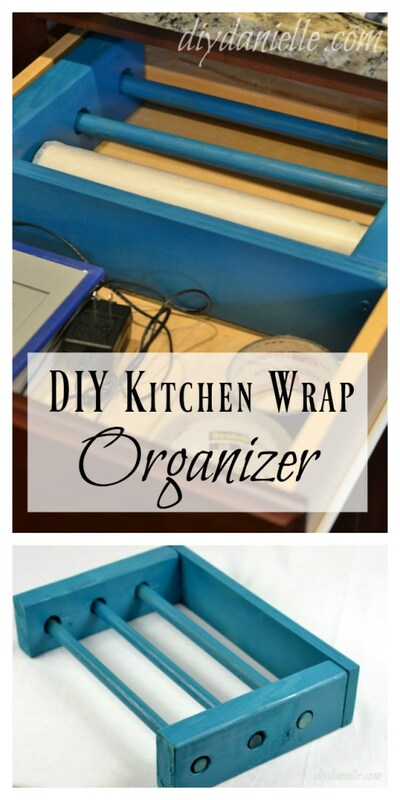 This idea is perfect to get all those kitchen wraps organized. 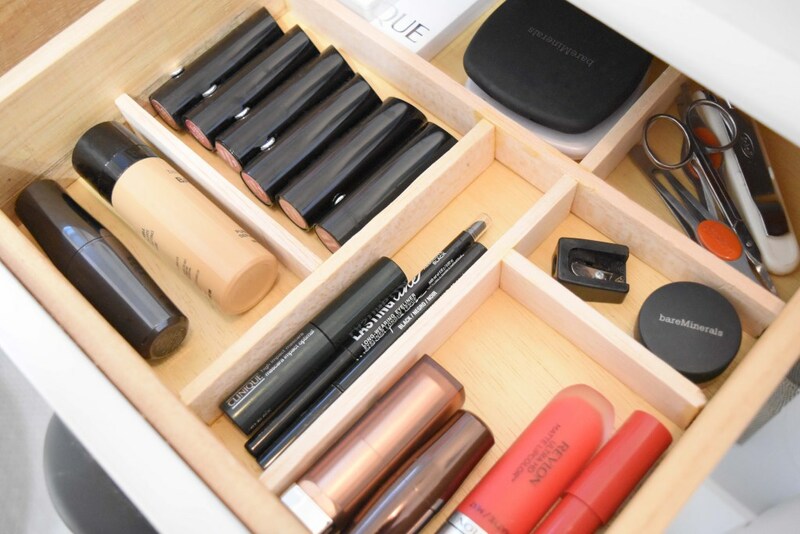 Make the most of space by using double drawer dividers. 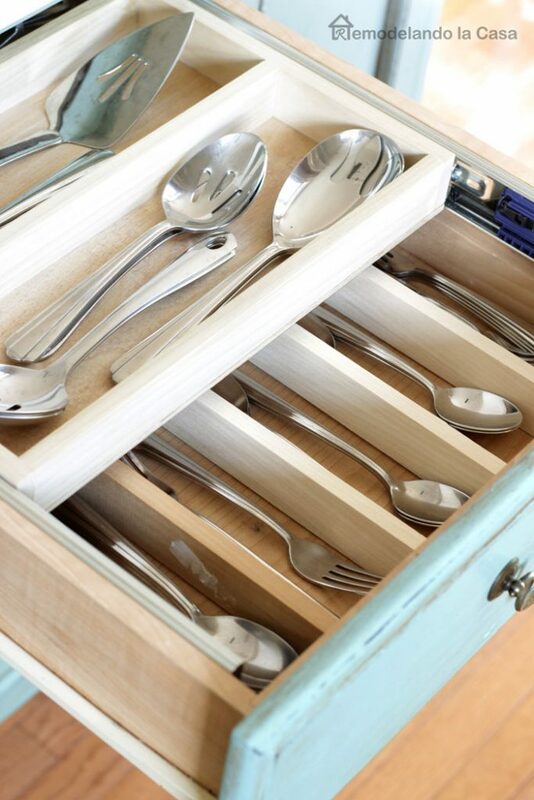 There were no power tools needed with this tutorial. 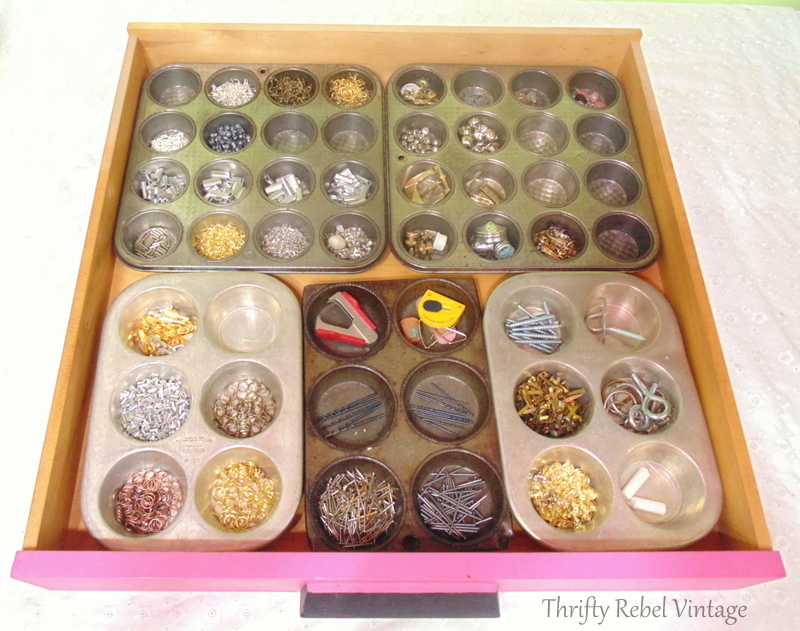 You can repurpose old muffin tins as a cost-effective way to organize drawers. Her instructions are super thorough. 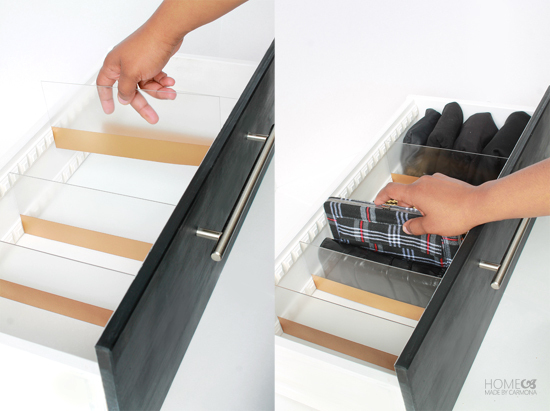 These dividers are removable in case you change your mind. 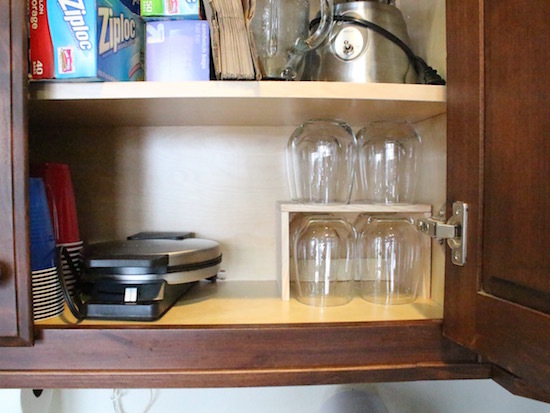 We all need a way to organize our wine glasses.